Mene did many small models of dogs during his career and several of them were of small pets like the King Charles Spaniel. 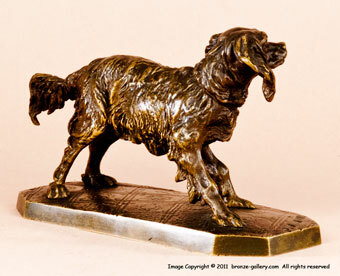 This sculpture of a King Charles Spaniel is one of his early works done in the early 1840s. The frisky Spaniel is standing on a carpet patterned base with his head up in an alert pose. The character of a well loved pet is perfectly shown. This model was a popular one and many were cast in the 19th century. Unfortunately it was also often copied. Our bronze is a fine original 1840s cast from Mene's own foundry and shows sharp details in the dog's fur and his feet. 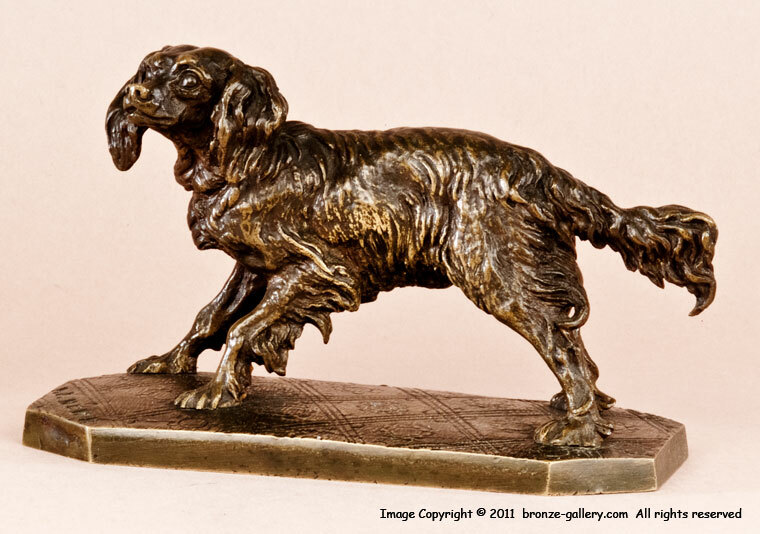 It has a rich mid brown patina, a fine example of one of Mene's best small dogs.